Karyn Olivier was born in Trinidad and Tobago, grew up in Brooklyn, and received an M.F.A. at Cranbrook Academy of Art and a B.A. in psychology from Dartmouth College. 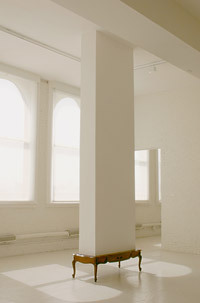 She has exhibited nationally and internationally at such venues as the Gwangju and Busan Biennials, Korea; The Museum of Fine Arts, Houston; The Contemporary Arts Museum Houston; The Wanas Foundation; Sweden; The Whitney Museum of Art at Altria; MoMA PS1, New York; The Studio Museum in Harlem; and the Mattress Factory, Pittsburgh. She has received a John Simon Guggenheim Foundation Fellowship; The Joan Mitchell Foundation Award; The Louis Comfort Tiffany Foundation Biennial Award and a project grant from the Creative Capital Foundation. Olivier has had residencies at the Core Program, Houston; The Studio Museum in Harlem; and the Skowhegan School of Painting and Sculpture. She is currently an assistant professor of sculpture at Tyler School of Art at Temple University. Olivier creates sculpture, installation, public works, photography and video. 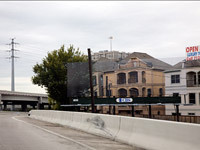 She often manipulates the familiar--from the redundancy of duplicated objects (Doubleslide) to exaggerating what already exists (Inbound: Houston). Her work explores the changing countenance of intimacy as it fluctuates between individual and collective experience. The 2010 William H. Johnson Prize jury consisted of Edgar Arceneaux, Artist; Eungie Joo, Keith Haring Director and Curator of Education & Public Programs, The New Museum, NY; Valerie Cassel Oliver, Senior Curator, The Contemporary Arts Museum Houston; and John Outterbridge, Artist.